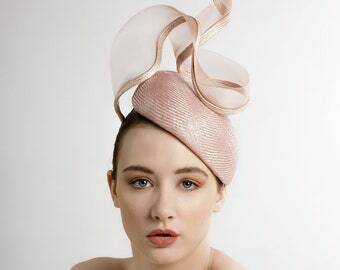 Announcement Hats and headpieces, perfect for Royal Ascot & The Melbourne Cup. 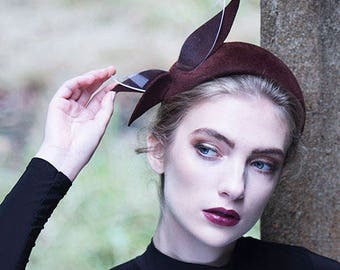 Award winning millinery, as seen in top magazines and worn by celebrities and customers worldwide! 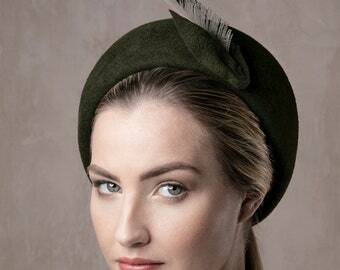 Complimentary FREE POSTAGE worldwide for items over £120* (see Postage + Delivery). 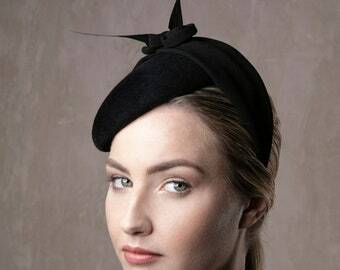 Made to order couture hats from Maggie Mowbray Millinery. Vogue IT (online) 2012 and more. 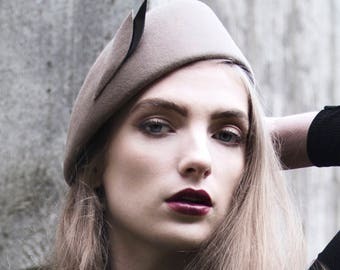 Other publications include: Vogue UK 2012 and more including blogs. 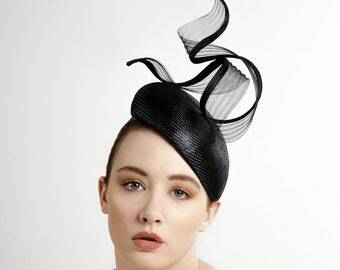 Hats and headpieces, perfect for Royal Ascot & The Melbourne Cup. 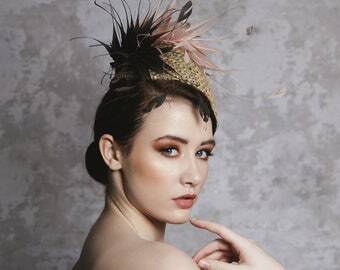 Award winning millinery, as seen in top magazines and worn by celebrities and customers worldwide! 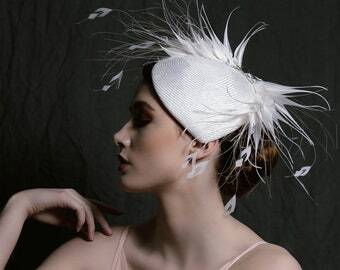 Veiled Hat for The Races, Garden Parties, Wedding Millinery, Headpiece with Feathers - 'Rose Splash"
Straw Fascinator, Mini Straw Hat on Headband, Headpiece for The Races, Garden Parties, Ladies Day, Weddings - 'Scutlpted Twist"
The Serena Felt Hat, Womens Classic Deep Brim Stylish Hat, Warm Winter Millinery. 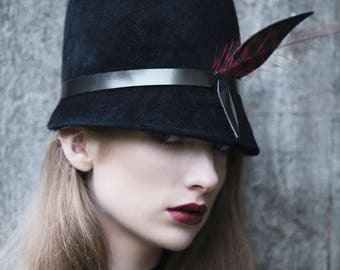 The hat was perfect and in amazing quality. Amazing service from Maggie too! 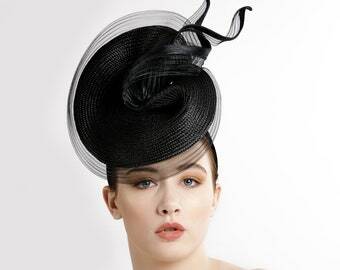 Custom Design Consultation for Hat, Headpiece, Races Hat, Weddings. 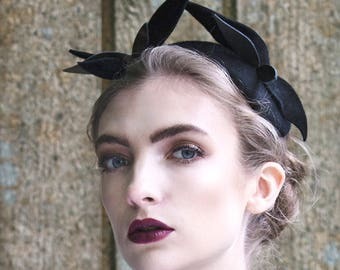 Maggie Mowbray Millinery was established in 2012, my workspace is located near Edinburgh in Scotland facing onto woodland and fields at the foot of the beautiful Pentland Hills. 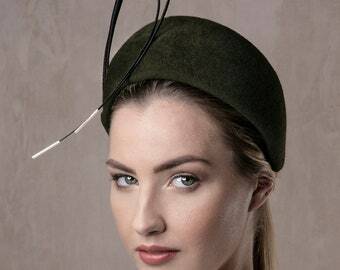 It is from here I design & create all my millinery. 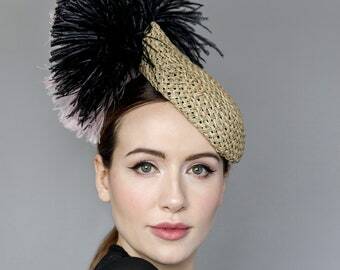 All my hats and headpieces are made to order and handmade by myself, from the design, to shaping, sewing the hat and adding the finishing touches. 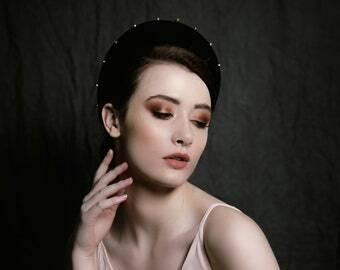 I also have a public studio in central Edinburgh which is open by appointment, where customers can come and try designs and get advice, it is always lovely meeting my Etsy customers in person! 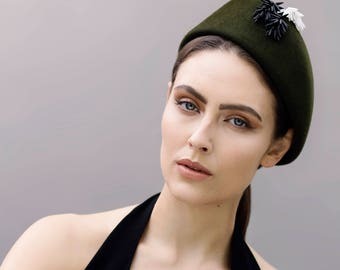 I design hats for clients around the world, from the USA to Australia and many locations in between. 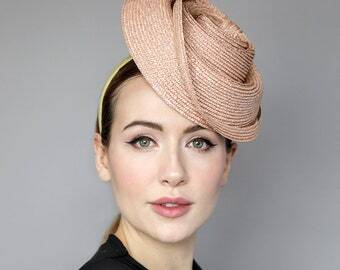 All the hats and headpieces I create are designed to enhance a woman's features; the lines, the angles and shapes are all intended to work with and not fight against your face shape and personal style! 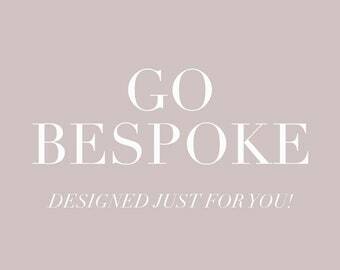 Bespoke designs are designed to compliment my clients chosen outfit, but more importantly the client themselves. "Luxury is not in the price tag but my service and care to you"! 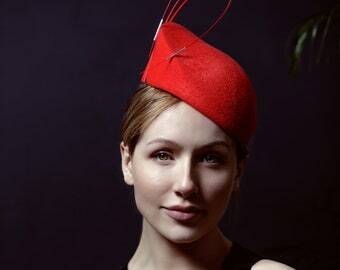 Designer Milliner at Maggie Mowbray Millinery. When you purchase something from our shop on Etsy, as part of the buying and selling process, Etsy collects, uses & shares the personal information you give us, such as your name, address and email address to enable us to process and fulfill your order. We may request additional information such as your telephone number to process certain postage requests. We work with trusted third parties to perform functions and provide services to you, such as such as delivery companies (Royal Mail, Parcelforce/UPS). We share your personal information with these third parties, to the extent necessary to perform these services on your behalf. Respond to legal or government requests. Enforce our agreements, terms and policies. Prevent, investigate, and address fraud and other illegal activity, security, or technical issues. Protect the rights, property, and safety of our customers, or others. Etsy may store and process your information through third-party hosting services in the US and other jurisdictions. Etsy may transfer your personal information to a jurisdiction with different data protection and government surveillance laws than your jurisdiction. You may withdraw your consent for us to contact you, for the continued collection, use or disclosure of your information, at anytime, by contacting us. We will only contact you regarding a current transaction or to provide you with information you have requested. You will need to contact Etsy to request withdrawal from their database systems. Etsy manages all our payments, we do not have access to this information. You may also have rights to change, restrict our use of, or delete your personal information. Absent exceptional circumstances (if we are required to store data for legal reasons) we will generally delete your personal information upon request. Processing of some of your information based on our legitimate interests and marketing messages from us after providing your express consent to receive them. In such cases, we will delete your personal information unless we have compelling and legitimate grounds to continue using your information or if it is needed for legal reasons. We may refuse or charge for requests that are manifestly unfounded or excessive. If you reside in the EU and wish to raise a concern about our use of your information, you have the right to do so with your local data protection authority. If you would like to: access, correct, amend or delete any personal information we have about you, register a complaint, ask a question or simply want more information contact us. 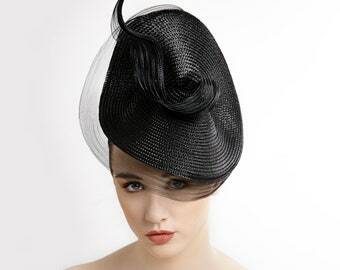 Hats will usually be created & dispatched between 7 & 21 days of receipt of full payment. If your requirements are more urgent please contact me, it may be possible to accommodate a 'rush order'. If your design is needed sooner, please get in touch in the first instance, I will see what I can do. Rush orders may be possible at certain times, there is a non refundable* fee for rush orders this is to cover extra hours and expenses. 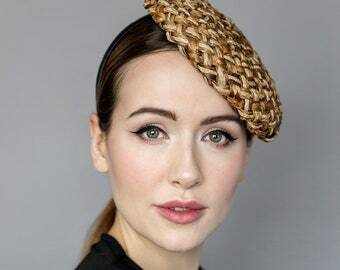 For accurate measuring, take a tape measure around the widest part of your head; from the forehead around the widest part of your head and back to meet the forehead. Don't pull too tight on the tape or your hat will be too tight. 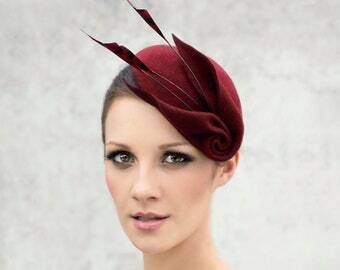 The majority of my designs are handmade to order; made to measure, made to customer specifications. 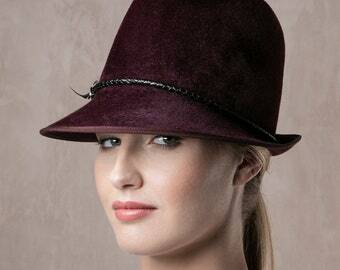 Returns are only accepted on ready to wear pieces. 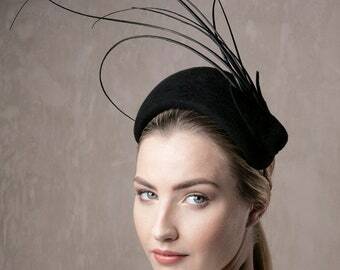 I regret that I am unable to offer refunds or exchanges on products that are bespoke, made to order or customised. 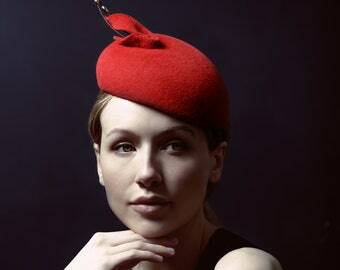 I am always happy to advise customers regarding style suitability, colour matching and measuring prior to placing an order. 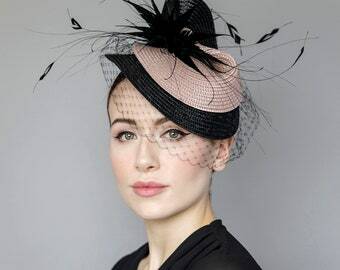 If for any reason the product does not meet your expectations, you can return for alteration, provided a return is requested within 7 days of receipt and items are returned within 14 days. I reserve the right to make changes to this shop, policies and terms and conditions at any time. I may make alterations to the price, content, or nature of this shop without notice. 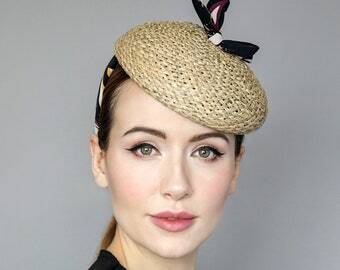 All images and communicated feedback regarding purchased goods may be used at the discretion of Maggie Mowbray Millinery across all marketing or selling venues. I retain all copyright on custom design orders and may choose to resell custom designs. 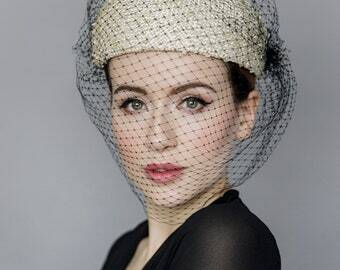 Images and all content ©Maggie Mowbray Millinery® All Rights Reserved.